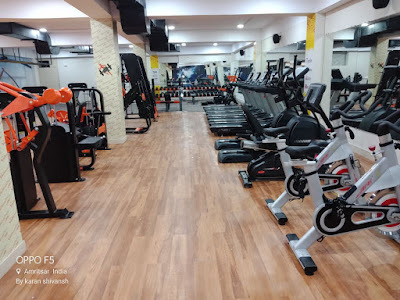 Vigorous Gym Amritsar – We would like to inform you that Vigorous Gym Amritsar is becoming popular among young kids because they created an environment that’s friendly, and certified personal trainers, general trainers and dietitian will help you to achieve your goals. What kind of training you will get in Vigorous Gym Amritsar ? What are the fees structure and monthly charges of Vigorous Gym Amritsar? Vigorous Gym Amritsar Fees – Please call at 0183 505 0007 for more details. What is the location of Vigorous Gym Amritsar? What is contact number of Vigorous Gym Amritsar? What are timings of Vigorous Gym Amritsar?